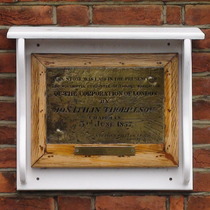 This stone was laid in the presence of the worshipful Committee of Thames Navigation of the Corporation of London by Jonathan Thorp, Esqre. Chairman, 3rd June 1857. This plate was found on the side wall of the lock during reconstruction in 1950. It had been submerged since 1857 when the lock was originally built. 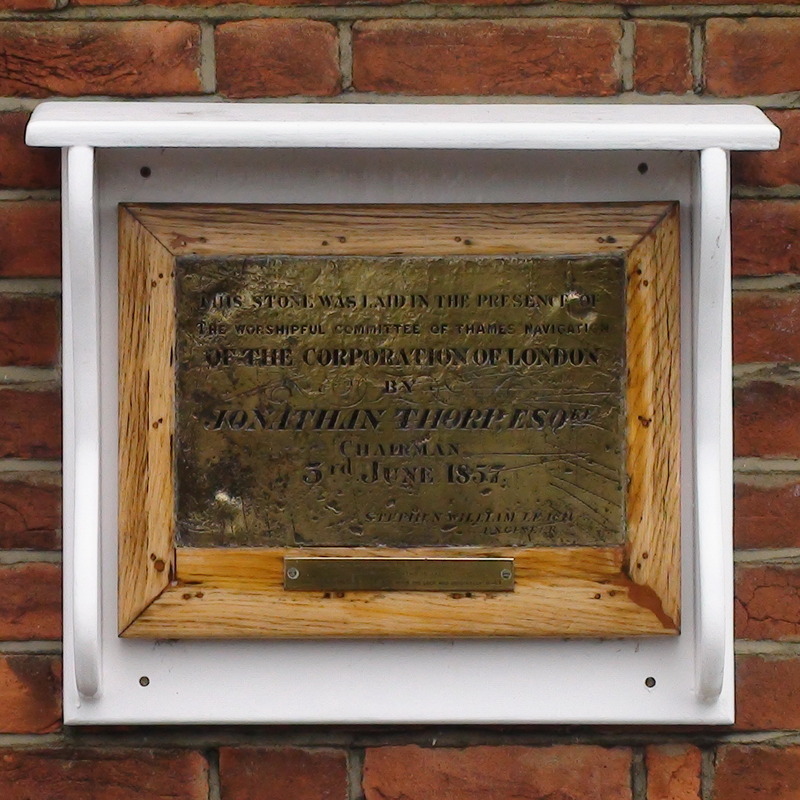 This plaque surely can't have been intended to be submerged? Did they accidentally attached it too low on the wall and then quietly swear to themselves as they saw the waters rising? We can't make any sense of this. Our photo shows the north side of the lock-keepers house which has a number of plaques attached. On the left of the north face: Teddington Lock - 1858, and on the right: Dunkirk. On the west face: Teddington Locks - 1857. Engineer at Teddington Lock, 1857.